A federal judge slapped down the FAA’s fine for a drone operator, saying there was no law banning the commercial use of small drones. The judge’s decision could open up the skies below 400 feet to farmers, photographers and entrepreneurs who have been battling the FAA over the use of the unmanned aerial vehicles. NTSB Administrative Law Judge Patrick Geraghty ruled Thursday that the policy notices the FAA issued as a basis for the ban weren’t enforceable because they hadn’t been written as part of a formal rulemaking process. The ruling, for now, appears to make it legal for drones to fly at the low altitude as part of a business — whether that’s delivering beer, photographing a baseball game or spraying crops. The case, Pirker v. Huerta, concerned Raphael Pirker, a Swiss drone operator who was fined $10,000 by the FAA for operating a drone recklessly while filming a commercial for the University of Virginia’s medical school. Pirker is the only person the FAA has fined for violating the rule, but the agency has sent letters and made informal calls to other drone operators. The judge’s ruling dismisses the FAA’s fine. The FAA didn’t respond to a request for comment. Any appeal of the ruling would go to U.S. Court of Appeals for the District of Columbia. The FAA could also attempt to issue an emergency rule banning small drone use. The ban was based on a FAA policy advisory given to agency employees who had asked questions about how to handle problems with model aircraft. Since 2007, the agency has insisted its rules applied to drones, as well. Pirker’s lawyer, Brendan Schulman, argued the advisory wasn’t enforceable, and Judge Geraghty agreed. The agency had struggled to enforce the ban as more and more uses for the small drones popped up. Photographers and videographers were using drones to film everything from “The Wolf of Wall Street” to the Washington Nationals’ spring training. A video showing a Minnesota beer company delivering beverages to thirsty ice fishers went viral, forcing the FAA to shoot down the proposal. The FAA has said it intends to propose a rule on small drone use by the end of the year. The ruling doesn’t affect larger drones that tend to share airspace with helicopters and planes. A judge has struck down the FAA’s ban on the commercial use of small drones, potentially freeing up the skies below 400 feet for farmers, photographers and entrepreneurs. NTSB Administrative Law Judge Patrick Geraghty ruled that the policy notices the FAA used as a basis for the ban weren’t enforceable since they hadn’t been written as part of a formal rulemaking process. The case, Pirker vs. Huerta, concerned Raphael Pirker, a Swiss drone operator who was fined $10,000 by the FAA for operating a drone recklessly while filming at the University of Virginia. The judge’s ruling dismisses the FAA’s fine. 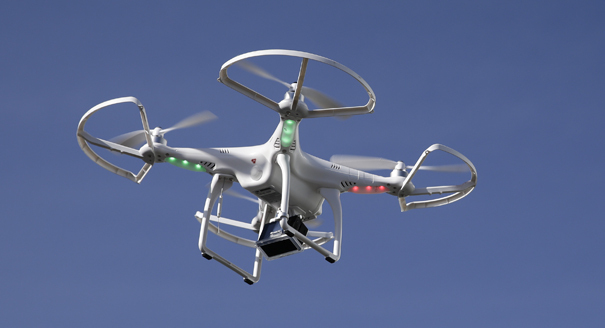 Filmmakers and others have increasingly flouted the FAA’s rule in recent months. The agency has pledged to propose a formal rule for small drones by the end of the year. The FAA didn’t immediately respond to a request for comment. If appealed, the case would go the U.S. Court of Appeals for the District of Columbia.